Finalist on BBC talent show The Voice 2014, Christina Marie was a legal secretary from Fishponds before wowing the BBC Judges making it to the finals. Oxfordshire born Thea Gilmore has been writing words and music since her early teens, and not long after was being hailed by some as one of the few world class singer-songwriters Britain has ever produced. Her debut album ‘Burning Dorothy’ was released in 1999, and in 2003 she hit the UK charts for the first time with her 4th album ‘Avalanche’ and the hit singles ‘Juliet’ and ‘Mainstream’. She has collaborated onstage or in the studio with Mike Scott and The Waterboys, Martha Wainwright, Sting, The Cowboy Junkies, Joan As Policewoman, and Eliza Carthy to name just a few. She is admired by wide ranging contemporaries from Bruce Springsteen, Joan Baez, Richard Thompson, Neil Gaiman, David Baddeil and William Boyd. In 2012 ‘Don’t Stop Singing’ her new musical settings of the late Sandy Denny’s unfinished works received great acclaim, and included the single ‘London’ which was used extensively in the BBC TV coverage of the Olympic Games. Hailing from Bristol, Beth Rowley is known for her rich soulful voice and love of Blues and Gospel. Following the success of her UK top 10 album ‘Little Dreamer’ in 2008, for which she was nominated a Brit Award, she’s now back after working on new material – a trio of EPs, the first ‘Wretched Body’ hit in 2013, with the second and third due to hit this year. The period since ‘Little Dreamer’ has seen Beth’s film debut with the release of Oscar nominated Brit flick ‘An Education’, starring Carey Mulligan and directed by Danish director Lone Scherfig. Beth’s cameo role as the nightclub singer received rave reviews as did her theme song ‘You Got Me Wrapped Around Your Little Finger’ written with collaborator Ben Castle. Beth has appeared on stage with some giants of the music world including Burt Bacharach at the Electric Proms, David Arnold (James Bond), and as Angelo Badalamenti’s personal guest (David Lynch’s right hand man) at Ghent film Festival. Beth also performed at Willie Nelsons 4th July Back Yard Festival in Austin alongside Ray Wylie Hubbard. 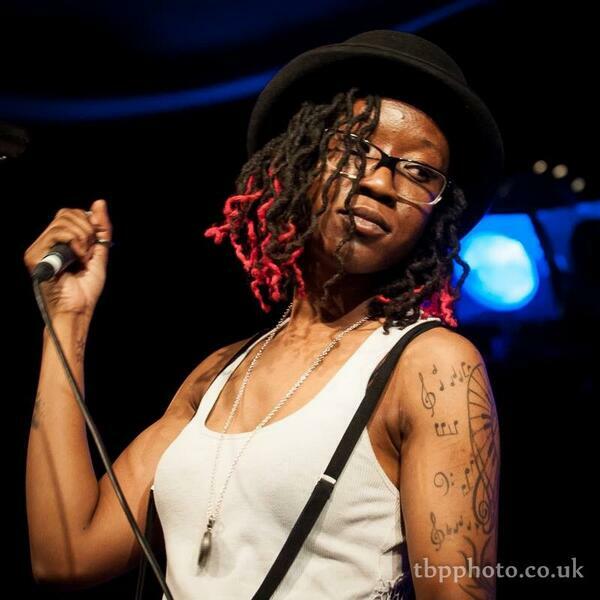 She also recently guested as main support for Laura Mvula’s UK tour at the end of 2013. Comprised of sisters Natalie & Sally Joiner and friend Anja Quinn, Wolfhound are an all female guitar trio from Bristol who play their own alternative brand of dark melodic folk-pop. With music consisting of whispery vocals, dark guitar driven melodies and the occasional saw, they have been compared to various artists ranging from the The Pierces and Tegan & Sara to The Cure and Veronica Falls. Wolfhound have performed at the Bristol Acoustic Music Festival, Bristol Harbour Festival, Bristol Folk Festival and Keynsham Music Festival. Sharing stages with Mark Morriss (The Bluetones) and Kevin Mark Trail (The Streets) and with regular live radio performances, they have been winning fans throughout the South West and beyond. Darren Hodge is a young man who is regarded by his peers as one of the top young guitarists in the country. After picking up his first guitar at the age of twelve, he has since been astounding audiences with the complexity of his playing. Completely self taught, it was clear to those around him very early on that he had a unique gift. After five years of hard work and dedication he has now completed his first solo album, ‘The Road To Nashville’ which includes seven self-penned tracks. Darren’s repertoire includes jazz, blues, classical and modern pieces. Meet Your Feet originally formed back in 1987, as a result of three of the women getting together to start a women’s music workshop. They played its first gig in June 1988, when asked to get a set together for a Benefit Gig against section 28. 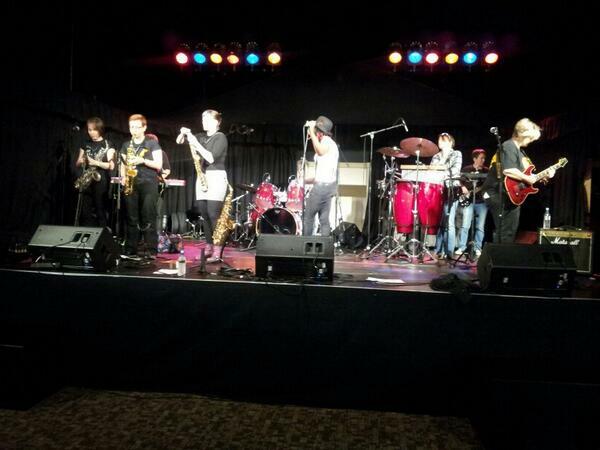 This gig was so successful that the band decided to stay together and gradually the original line-up of the early years of the band evolved, and provided an infectious blend of music based on funk, soul, jazz, Latin and pop influences. During the 80s the band embarked on several European tours and gigged at high-profile festivals such as WOMAD and Glastonbury. In 1989 they were voted Bristol’s top band by Venue magasine. The band disbanded in 1992 due to various members’ life commitments. Recently reformed after a twenty year break, they have released an EP entitled ‘Unfinished Business’, and have resumed their place as one of the top all-female bands in Bristol. Chris Wood is one of England’s most vivid and arresting song writers, weaving tradition with his own contemporary parables. Chris has worked and collaborated with a long list of artists, most recently Joan Armatrading, Dizraeli, Billy Bragg, and Eliza and Martin Carthy in Simon Emerson’s Imagined Village. In 2014 he garnered a nomination for his song ‘None The Wiser’ at the BBC Radio 2 Folk Awards. Wood’s work also includes commissions for Radio 3 Between The Ears, Late Junction and The Essay, he has written for The Times and lectured at Newcastle and Limerick Universities. Folk singer and comedian Richard Digance is a rare performer. His evergreen career has been acknowledged through numerous awards within both the music and entertainment industries, from a BAFTA Nomination as a TV entertainer to a Gold Award from The British Academy of Composers and Songwriters. He is included in The Virgin Anthology of Songwriters for his important contribution to British comedy songwriting. Digance is also a world-acclaimed poet, author and artist. He is both an accomplished musician, rated by many as one of Britain’s greatest acoustic guitarists, and an entertainer who many younger comedians, including Ross Noble, claim as one of their major influences. On his own ITV Saturday-night show Richard has played guitar with Queen’s Brian May, The Moody Blues, Status Quo, Chris deBurgh, Juan Martin, Marc Cohn and Elkie Brooks. The legendary band Stackridge formed in 1969, and have the unique kudos of having been the opening and closing act of the first ever Glastonbury Festival in 1970, as well as being a favourite band of the late John Peel. During the 70’s the band released several albums, most notably the “The Man In The Bowler Hat” produced by George Martin (of The Beatles fame). After several line-up changes the band officially disbanded in 1977. Writers Andy Davis and James Warren formed the successful duo The Korgis in 1979 with International Hit Singles including the ever popular ‘Everybody’s Got To Learn Sometime’. Finally, thirty years after their initial formation, Stackridge reformed in the late 90s, and are still going strong. Their album ‘A Victory For Common Sense’ was produced by Chris Hughes who has cast his magic spell over recordings by Robert Plant, Paul McCartney and Tears For Fears. Maxi Rai’s music is a fusion of folk, blues, jazz and soul. Having playing around Bristol’s competitive underground music scene, she’s also supported the likes of L.A. Ska legend Chris Murray and The Streets’ Kevin Mark Trail, who have all been impressed with her “gifted story telling”. Cindy Stratton is well known as one of the West Country’s established and successful singer-songwriters. In a career that has spanned three decades, five albums, performances across Europe, and supporting artists ranging from Phil Collins and Jools Holland to John Martin, she has continued to develop as a unique talent. With the brilliant bass-playing of Marius Frank, fiddle virtuosity of Ali Nourse, and the sultry backing vocals of Susie Wright, the musicians morph seamlessly between Cindy’s backing band and the accapella outfit Z’Bella. Z’Bella have made a name for themselves in their own right, with an eclectic set of unique vocal arrangements reworking classics from Sergio Mendes to Michael Jackson. An evening of folk-influenced, gospel-tinged brilliance is guaranteed! Fistful of Spookies are an offshoot of The Spooky Men’s Chorale, a group of male singers who mostly hail from the Blue Mountains region of New South Wales. When The Chorale retreated to Australia, spent after their sell-out 2013 UK Tour, a few stalwarts remained. Like a tide-mark in an enamel bath, this collection of UK Spooks and one geographically challenged Aussie are still around, keeping the flame of Spookiness alive in Britain. Bristol Acoustic Music Festival Colston Hall #colstonhall #show42581 http://t.co/y61qfgfHVI http://t.co/iDuSPhNCu8 Bokk this guy for 2015!!! Massive Music weekend coming up: Bristol Acoustic Festival in and around the Colston Hall, Gavin Osborn at The Rondo, Bath, Friday and ..
RT @sqrpig: live music from acoustic folk duo @Lazibyrd who play @Colston_Hall #Bristol this evening from 8pm! live music from acoustic folk duo @Lazibyrd who play @Colston_Hall #Bristol this evening from 8pm! @malthusia @Lazibyrd @Colston_Hall pop along! 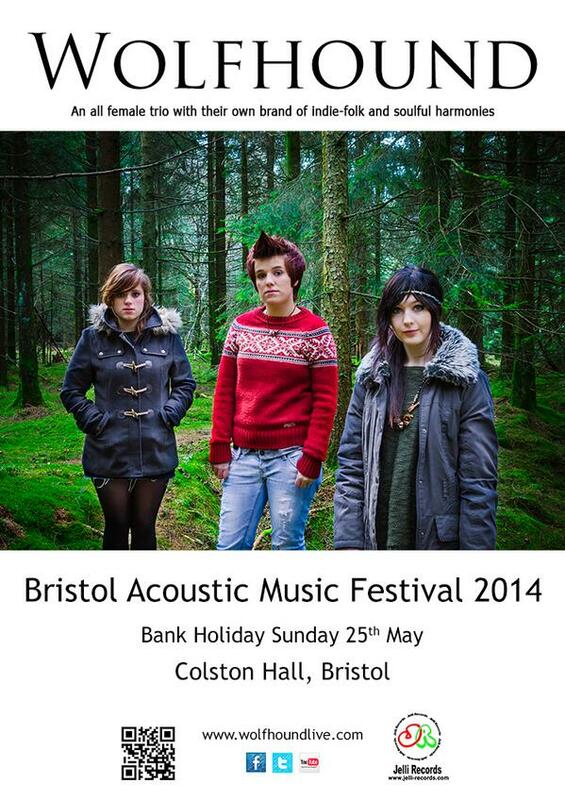 @Lazibyrd @Folkstock @BBCBristol @SaidTheMaiden @Colston_Hall Looking forward to it too. RT @thinktwink: @Folkstock @Lazibyrd @Colston_Hall I'll look them up and get them in. Thanks. @Folkstock @Lazibyrd @Colston_Hall I'll look them up and get them in. Thanks.